Sound Systems – The Sound Co. 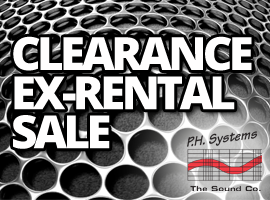 When it comes to sound we know what we’re talking about, after all we have been hiring PA systems of all sizes for 35 years and have worked with hundreds of happy clients. We offer a range of audio solutions to meet your event needs. Whether you are hosting a small party, planning a conference or organising a large outdoor festival, P.H. 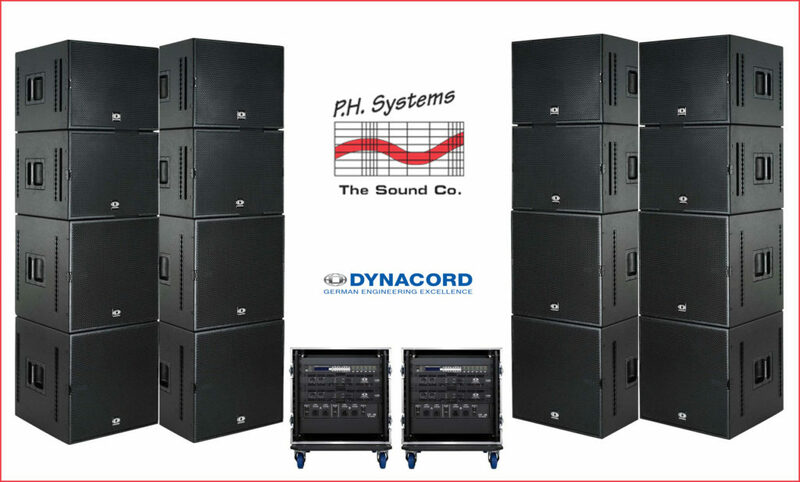 Systems / The Sound Co. has the perfect solution for your sound hire needs. We provide tailor-made solutions for each individual event, working closely with you to ensure that you have the optimal level of equipment to best suit your event. For some of our bigger events we use the Cobra 2 System by Dynacord which is regarded as one of the best and most reliable systems in the business. 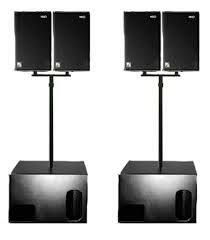 We also have many smaller systems using other major industry brands such as L’acoustics , NEXO and EV. Whatever the requirements or setting our technicians will discuss your event with you and recommend the best solution for your event and budget. You can either dry-hire your system from our premises (collect the system yourself) or one of our technicians can deliver and set up the system equipment for you. Leaving you with piece of mind that the sound and lighting for your event is looked after. We will also come back after your event and strip out everything saving you on any additional event transport costs. Needless to say bigger or busier event productions can have an operator and full crew stay on site as required. Over the years we have provided sound systems to thousands of events of all shapes and sizes including: Concerts, Festivals, School Shows, Musical Societies, Conferences, Clubs, Bands & DJ’s, National Sports Events and Tours. Sound systems have moved on since those days in the 70’s and 80’s and now the range of professional sound options is hugely varied. The system needed for a Corporate Conference event is different to a system needed for an Outdoor Concert. Our PA systems are among the most sophisticated in the business, and we can scale our solutions from product launches to rock concerts. We would love to talk to you about you next event production whatever it may be. 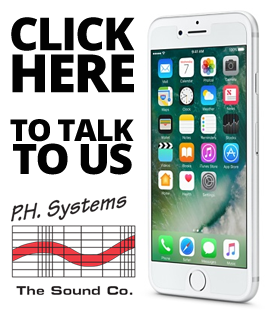 We know we have the perfect sound solution for your needs that is as equally perfect for your budget. To talk to us simply Click Here.